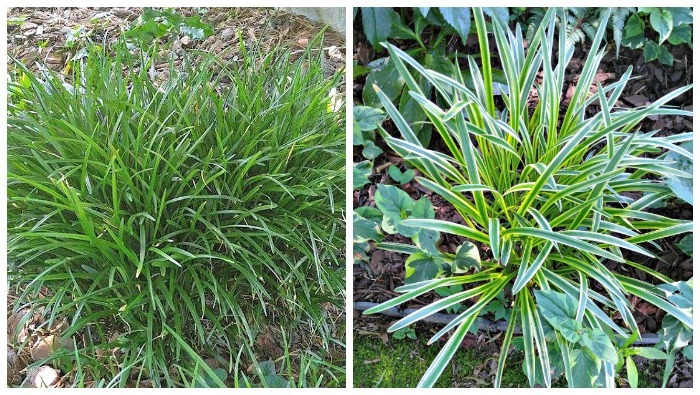 Depending on your point of view, you will either consider monkey grass a lovely ground cover or an unwanted weed. If the latter is more of your mindset, these tips for controlling monkey grass will help you get rid of your unwelcome garden visitor. Check Craig’s list free advertisements on most weekends in the summer here in NC and you will see ads for free monkey grass plants touting the words “all you have to do it dig it up yourself.” There is a reason for these ads. It is the way clever gardeners keep their liriope plants under control without having to do it themselves! Liriope, commonly known as “monkey grass” or “creeping lilyturf” is a grass like plant from Asia which is often used as a ground cover or border plant. Oddly enough, in spite of the common names, it is neither a grass or a lily. It is a member of the family Asparagaceae. Given the right conditions, monkey grass will grow aggressively and can take over a border in no time at all. 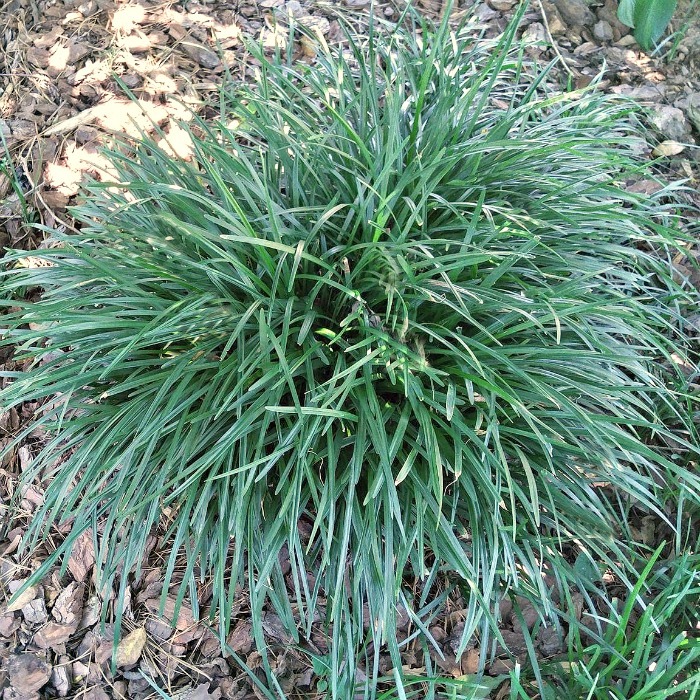 I have monkey grass in several areas of my garden, but I have to keep an eye on it, or it will spread everywhere. The perennial plant spreads by means of runners which are easy to transplant to other areas of the garden. Did you start out with a nice border of liriope and found that it has started to invade your lawn or garden beds? Do you often find yourself asking “how can I get rid of this darned stuff? Never fear, you are not alone. Many gardeners feel the same way. Unfortunately, if left untended, monkey grass can be quite difficult to remove since if forms dense clumps that seem to go on forever. The following tips will help you get rid of or control monkey grass in your yard. 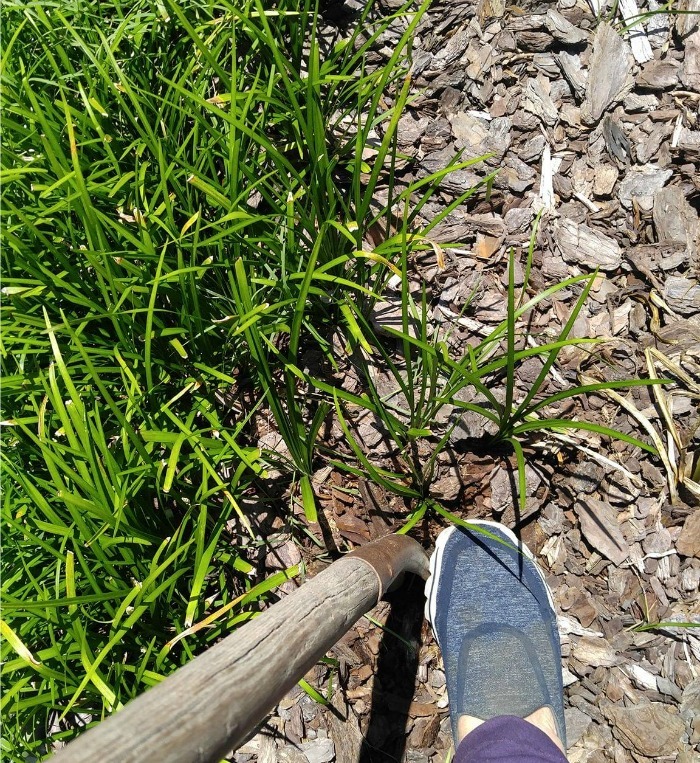 There is no “one way fits all” method of getting rid of monkey grass. A lot depends on how early you get to the job and how entrenched it is in your yard or lawn. Start Early and Stay on Top of the Job. If you are only trying to keep the liriope under control but want to allow some to stay in the yard, you’ll need to be vigilant. The plant sends out runners all during the growing season. When you see them starting to grow out into the lawn or garden bed, remove the runners. It is much easier to keep it tidy than to have to dig up a whole garden bed that’s been taken over. If you let monkey grass grow unmanaged, you will have a job getting rid of it! I know you were looking for an easy answer but the best remedy involves some real work – digging. If you have tried just pulling up the runners, you will know that they break off easily. Digging the monkey grass will get the roots and will keep the spreading nature under control. Use a spade or shovel to dig down around the liriope. Till the area around the removed plants and over the ground with plastic or newspaper to help choke out further growth. This takes patience, since you may need to repeat this process for several months if you want to get it all. 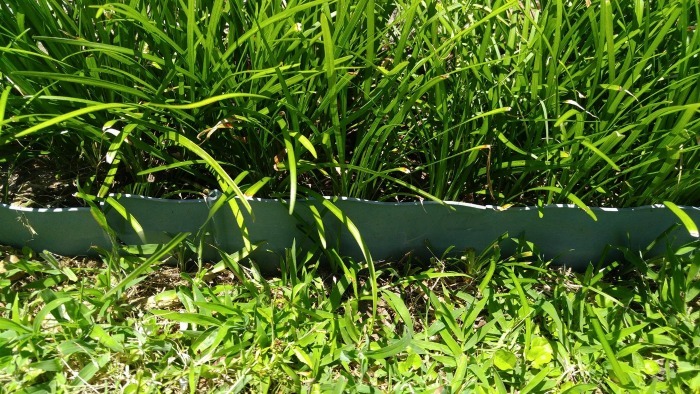 Since the plant spreads by means of underground runners, adding barriers is a good practice for controlling monkey grass. The barriers must go down into the soil quite a way – 12-18″ is a good size. If you use barriers that are too shallow, the plant will simple go under them and come back up on the other side. Instead of planting the liriope directly into the soil, sink the plant pots side by side and mulch over them. The look will be the same, but the plant won’t be able to send out underground runners and you won’t have it invading nearby garden spaces. 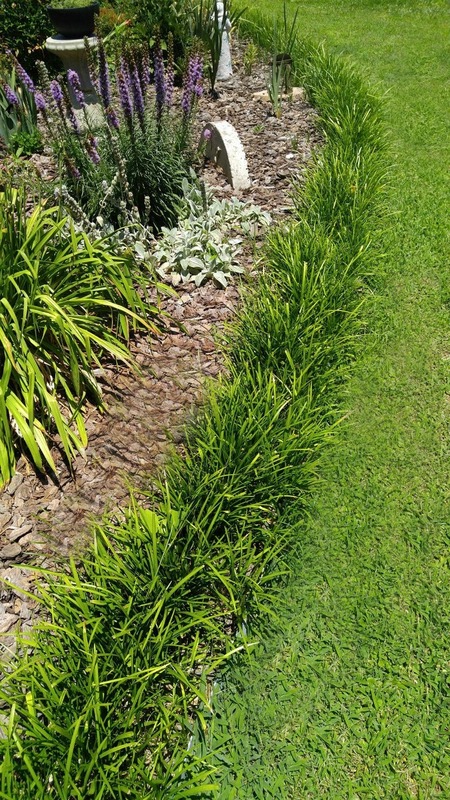 You’ll have a lovely border without the hassle of having to keep removing spreading monkey grass babies! Note on this method. The plants will eventually become pot bound and will need to be removed and divided. You an either use the extra plants in other areas of the garden, give them away or add them to the compost pile. Know your types of Liriope! 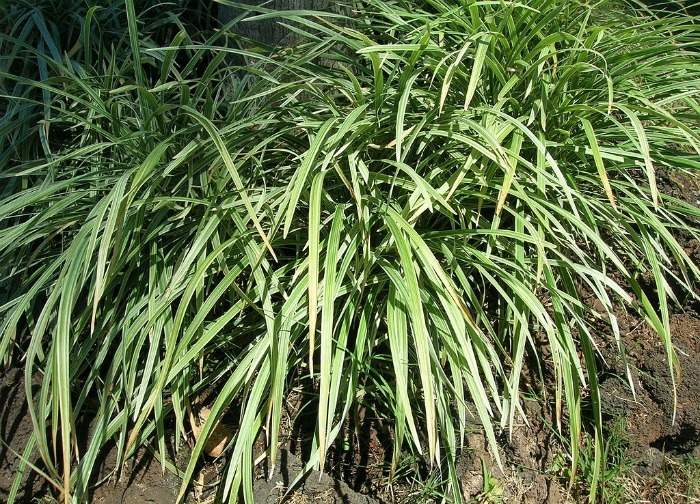 Some types of liriope are fairly easy to keep under control. I have Liriope muscari and a variegated liriope called Liriope muscari ‘Variegata’. Both of these are a gentle clumping type of monkey grass. They can be controlled easily by digging and manually removing the unwanted plants and roots. If you love the plant and want to grow it, the variegated variety is much slower growing and far less invasive. I have had some for 4 or 5 years and it comes back every year but barely spreads. Other types of liriope, particularly liriope spicata, are much more aggressive, making digging and tilling very difficult. If you have this variety planted you will be in for a shock when you start to dig it out. When you consider the effort that goes into controlling monkey grass, you can see why it’s either loved or hated by gardeners. Which category do you fall into? a “neighbor” with an unkempt yard planted (threw) some that rooted and is now invading our lovely (kept) lawn. what can we do to stop it from ruining our landscaped lawn?